Here is everything you need to know about Paul Penzone, the newly-elected Maricopa County Sheriff, who triumphed over Republican, Joe Arpaio. Citizens of the United States were still recovering from the shocking revelation of waking up to Trump as president-elect, when it was announced that Paul Penzone won the Maricopa sheriff county race in Arizona. 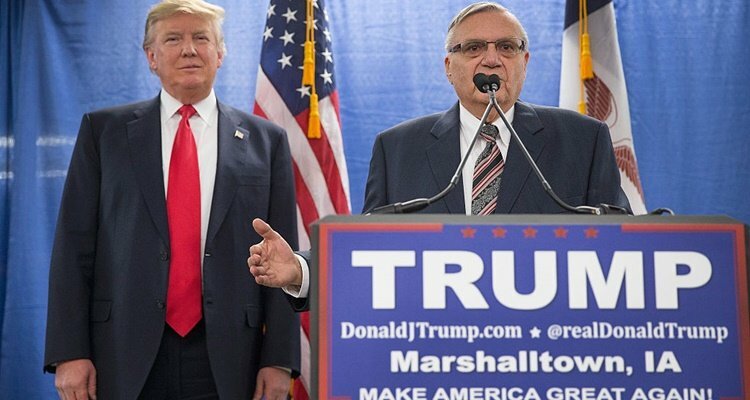 The retired police sergeant from Phoenix overthrew the six-term Sheriff Joe Arpaio, who is a Republican. Eager voters are scouring the Internet for more information on Paul Penzone’s wiki including his family, sons, and ethnicity. Don’t go anywhere else because we’ll tell you everything you need to know about Paul Penzone’s age, wife, and nationality, as well as the Arizona election results. The people of Arizona made their decision when the Democratic candidate running for sheriff of Maricopa County, Paul Penzone, gained the votes to win over veteran Republican nominee, Joe Arpaio. The 84-year-old Arpaio’s hard stance towards curbing illegal immigration became his downfall. He lost his bid after implementing offensive tactics like raiding workplaces, stopping traffic, and talking in a crude manner towards his Latino constituents. Arpaio is currently charged with criminal contempt of court for defying a judge’s order to end the unethical practice of the racial profiling of Latinos. Penzone’s work has been recognized and rewarded by the U.S. Drug Enforcement Administration (DEA), who christened him the national Task Force Agent of the Year. His impeccable leadership in a federal wiretap helped bring down a large-scale methamphetamine network in Arizona, as well as the “Baseline Killer,” and “Serial Shooter,” in the Silent Witness Program. Over his two-decade long career in law-enforcement, Penzone has received two Distinguished Service Awards and won Supervisor of the Year, from the Phoenix Police Department. The youngest of three siblings, Penzone was born in Trenton, New Jersey into a close-knit Italian household. His strong sense of community and family values possibly comes from witnessing his parents, Rose and Charlie Penzone, celebrate their 50th marriage anniversary. Paul Penzone’s family belonged to the working middle class. His father was a floor installation laborer, while his mother was a clerk at the Justice Courts. While in high school, Penzone volunteered as a constable at the Justice Courts, allowing him to have a firsthand look at the criminal justice system. After graduating from Cortez High School in Phoenix, he went on to study Criminal Justice at the Glendale Community College and Northern Arizona University. After joining the Phoenix Police Department in 1988, Penzone quickly rose up the ranks, becoming an asset to the law-enforcement community throughout his career. Penzone’s appeal to the residents of Arizona lies in his honest, hard-working nature and core family values. The voters within Maricopa County chose Penzone as their new sheriff because of his effective and efficient methods of eliminating wasteful spending, and demanding accountability from the highest levels of authority. Paul Penzone’s family comprises his wonderful wife Veronica Penzone, and their two sons. Paul Penzone’s wife runs a successful small business that advocates for women and children’s safety. The power couple lives in Phoenix with their three dogs.